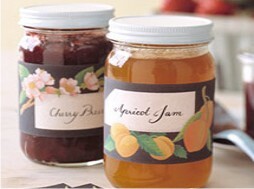 One of our specialties is jam labels. We normally print these on paper or polypropylene material with the option of a matt or gloss varnish, enhancing the finish of your product. Our print process enables us to print eye-catching labels, cost effectively, without the need for print plates - saving you both time and money on tooling costs! We can print from just a few hundred up to tens of thousands of jam labels. When labelling your jam pots, you need to ensure you promote your product effectively, through whatever means possible, whilst keeping costs to a minimum. 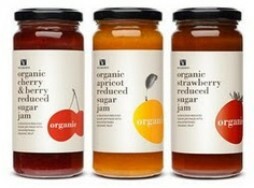 One way do achieve this of course is by displaying a high quality jam label on your product. A good quality label can also determine whether or not the consumer purchases your product. If you would like to learn more about our jam labels, or would like to receive a quotation, please complete the enquiry form below or for immediate assistance call 01293 551520. We look forward to serving you.